Everyone helped, and WE STOPPED Valero Crude By Rail – THANKS! We did it! Opponents of Valero’s oil train proposal gathered in City Hall on the night of Benicia’s historic vote to STOP crude by rail. September 20, 2016. Photo by Emily Jovais. 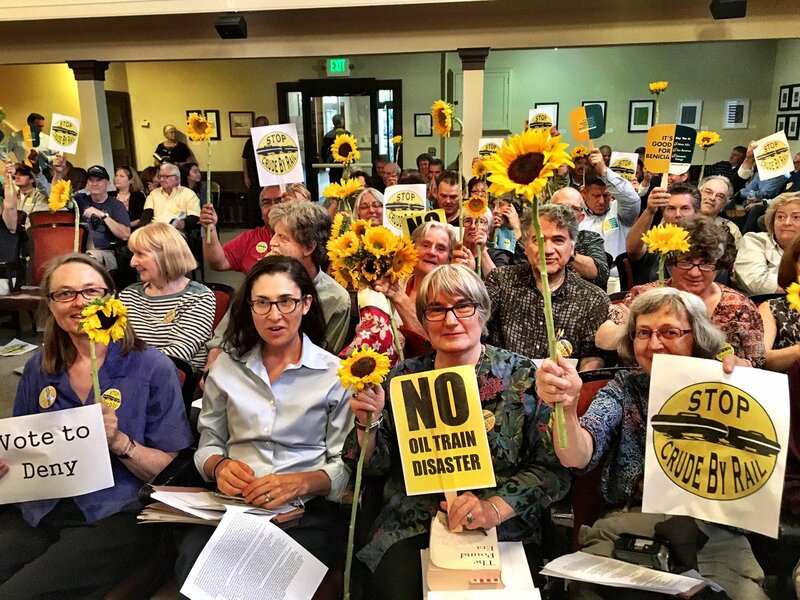 Surprise unanimous vote – no oil trains in Benicia! Help us STOP Valero Crude By Rail! Valero Benicia Refinery has proposed a project to begin transporting crude oil from North American sources to Benicia by rail tanker cars. The project raises serious questions about the health and safety of Benicians and others up-rail and down-wind. Join with us in opposing this reckless opting for profit over preservation. The future of Benicia, and of the Earth itself, lies in sustainable energy, not in a short term grab for cheap, dirty and dangerously explosive oil from North Dakota and Canada. Has someone stolen or vandalized your yard sign? Read more, and order a replacement here. And check out our MENU above – learn more, get involved, voice your thoughts here on SafeBenicia.org. Thanks for visiting. Please help us raise money to organize concerned citizens of Benicia to oppose this dangerous project that Valero is proposing. We need support with printing flyers, mailers and miscellaneous costs. 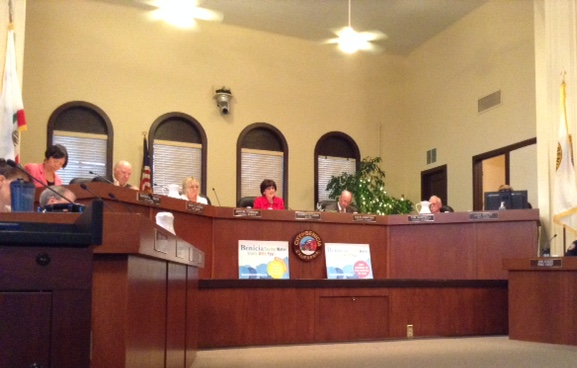 Your contribution will make a world of difference to our grassroots organization of Benicia residents. Thank you! !